PandaLabs, the antimalware laboratory of Panda Security – The Cloud Security Company – has released its 2010 Annual Security Report, which details an extremely interesting year of cyber-crime, cyber-war and cyber-activism. The full report is available at: http://press.pandasecurity.com/press-room/panda-white-paper/ along with a wealth of other reports, bulletins and monographs from 2009 and 2010. One striking discovery is that in 2010 alone, cyber-criminals created and distributed one-third of all existing viruses, creating 34 percent of all malware that has ever existed and been classified by the company. The report also highlights malware standbys that aren’t going anywhere, new and emerging malware trends, the impact cyber-criminal activity had on social media networks last year, and more. Despite all of the drastic numbers outlined in the report, the report highlights some good news. PandaLabs discovered that the speed at which the number of new threats is growing has actually decreased when compared to 2009. Every year since 2003, new threats grew by at least 100 percent every year, but in 2010, the increase was approximately 50 percent. We can only hope that trend continues. As you might suspect, banker Trojans still dominate among new malware that appeared in 2010, accounting for 56 percent of all samples. Viruses accounted for 22 percent, rogueware (fake antivirus software), 12 percent; worms, 10 percent. The countries leading the list of most infections are Thailand, China and Taiwan, with 60 to 70 percent of infected computers. To see a graph of how other countries ranked, please visit: http://www.flickr.com/photos/panda_security/5299741647/. The United States did not rank in the top 20. 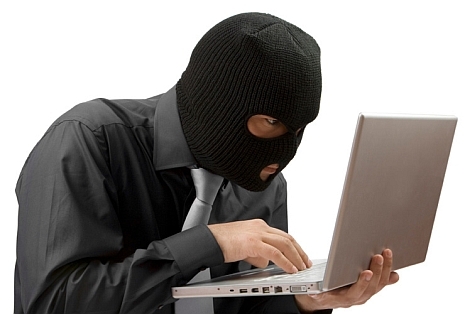 2010 was truly the year of cyber-crime, cyber-war and cyber-activism. Although cyber-crime has existed for many years, cyber-war became a much more active and aggressive part of the malware landscape. The most notorious was Stuxnet, a new worm that targeted nuclear power plants and managed to infect the Bushehr plant, as confirmed by the Iranian authorities. At the same time, a new worm appeared called “Here you have.” It was created by a terrorist organization whose intention was to remind the U.S. of the 9/11 attacks and call for respect for Islam, purportedly as a response to Pastor Terry Jones’ threat to burn the Koran.